Bonjour! 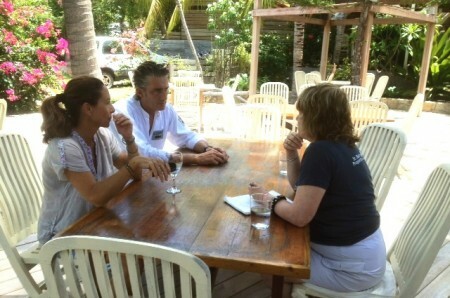 Many of you know that I went back to St. Barts with members of our US team. This is the time of year when we do our inspections and meet with our partners. 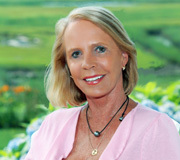 Connie Walsh our Marketing and Travel Industry Consultant was also with me because this is the time when we begin to gather materials for our next Live Your Dream® catalogue. 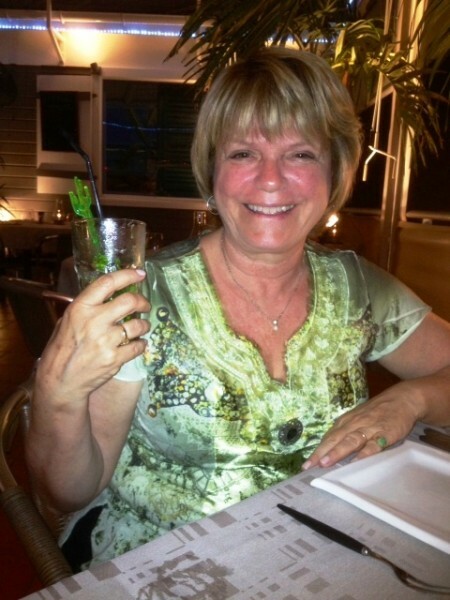 Here is Part One of Connie’s Guest Blog. Our spring inspection trips to St. Barth encompass planning content for our annual publication Live Your Dream®. Internally, we call it the PF for short and we enjoy compiling it as much as we hope you enjoy reading it. Each year, we choose island residents who have pursued their passion to St. Barth – and are living their dream. It’s fascinating to talk with them and the interviews add a special perspective to the whirlwind of villa and hotel inspections. I love it! St. Barth is well known as the culinary capital of the Caribbean, so it was an honor to meet one of its most famous chefs, Jean-Claude Dufour. Late last year, he realized his dream of owning his own restaurant. The well known L’Esprit is now L’Esprit Jean-Claude Dufour and boasts a new open kitchen, a reconfiguration of its alfresco dining deck and a fabulous new menu. Our team really enjoyed our dinner there including J-C’s signature seared foie gras. Just up the road from Saline Beach, it’s perfect for a pre or post lunch stop. If you’re looking to lunch “in town” (St. Jean’s Villa Creole) put Le Bistroy on your list. This unique venue artfully combines a gourmet deli and grocery boutique with a wine shop and a wine school. 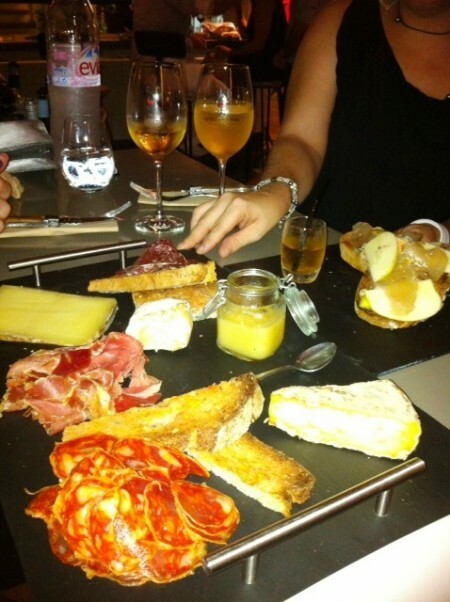 We caught the last of the sale days in Villa Creole’s boutiques and stopped in for lunch – charcuterie and chilled wine. This delightful little courtyard-style bistro complex is the dream of owner Jean-Baptiste Barre who made his bones in St. Barth’s culinary circles at restaurants like the François Plantation and Le Toiny. We took the opportunity to get glammed up at Salon Fostokjian, which by the way, offers a picture-postcard view of St. Jean Bay. Owner Christophe Fostokjian is a skilled stylist and has developed his own line of organic products which we will feature in many of our villas. We slipped into I by Idalmi’s air-conditioned Make-up & Nail Bar late one afternoon for new shellac manis, sit-back-and-relax pedis and a talk with former model and owner Ida about her business and her luscious line of polishes named after the beaches of St. Barth. For one of the interviews, I took to the sea for a snorkeling excursion with Plongée Caraïbes’ owner Thierry Balaska. His catamaran is the island’s largest and he moored it at Pain Sucre (Sugar Bread) where the waters were bath-water warm and crystal clear. 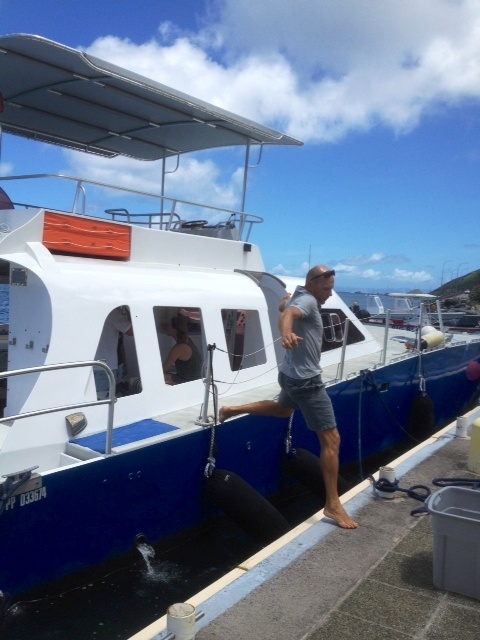 While one of his crew was finishing up a scuba certification dive for a small group, I chatted with Thierry and learned how he decided to change his whole life by coming to St. Barth. We look forward to sharing more of their stories in 17th edition which will be on the island in early November – and online. Don’t miss it!